Annalise (Viola Davis) started to gather her cases for her class action suit in the latest episode of How to Get Away With Murder. While she was doing that Michaela (Aja Naomi King) and Oliver (Conrad Ricamora) hacked into Tegan’s (Amirah Vann) computer and found a cease and desist letter that was sent to an Antares employee who was murdered. Asher (Matt McGorry) started to get suspicious about Michaela’s whereabouts and started to doubt she was being honest with him. We also got a bit more back story on how Annalise and Bonnie (Liza Weil) met. 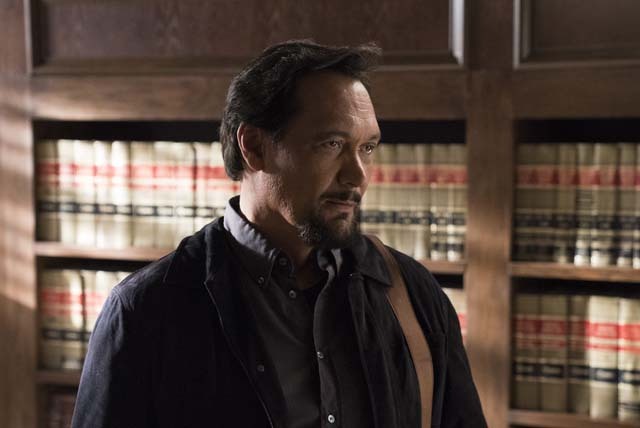 Annalise tore Bonnie apart on the stand years earlier during a court hearing where she was giving testimony to support her claims that a man raped her. Even though Annalise won the case, she was overcome by guilt, quit her job and hired Bonnie as a lawyer. In the present day Bonnie interfered with Annalise’s class action suit to ensure she couldn’t take it forward. 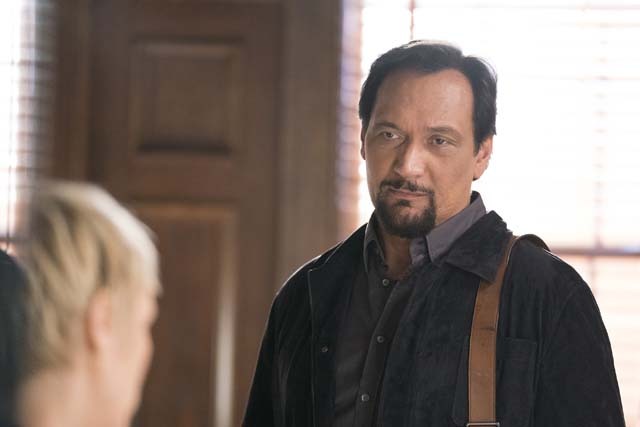 Bonnie’s real identity was also discovered by Isaac (Jimmy Smits) who realised she was talking to him about Annalise. In the flashforward Asher was in prison and it was revealed he was the suspect in the murder. The next episode of the season is Stay Strong Mama. Annalise forges ahead with her case, receiving help from a former colleague.